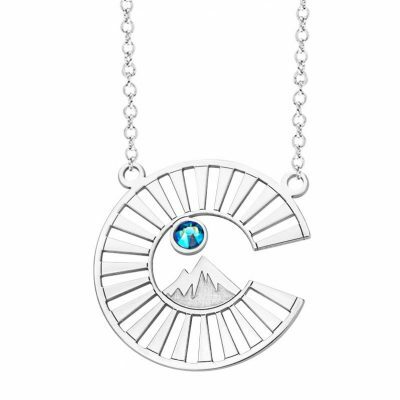 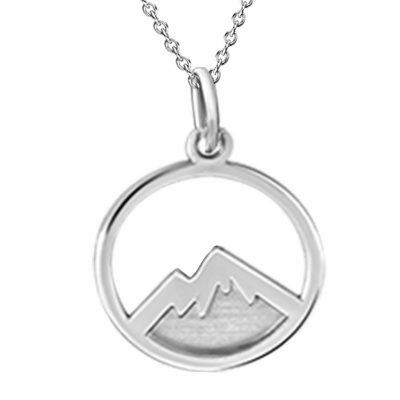 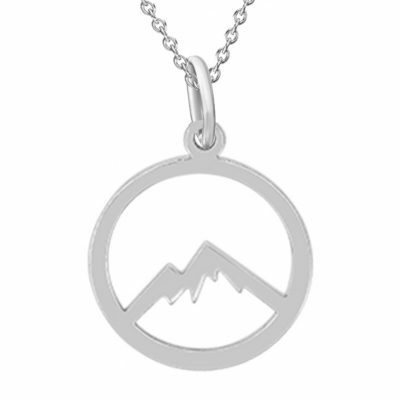 This eye-catching silver pendant from our exclusive Colorado Collection is designed in the shape of the well-known Colorado C logo. 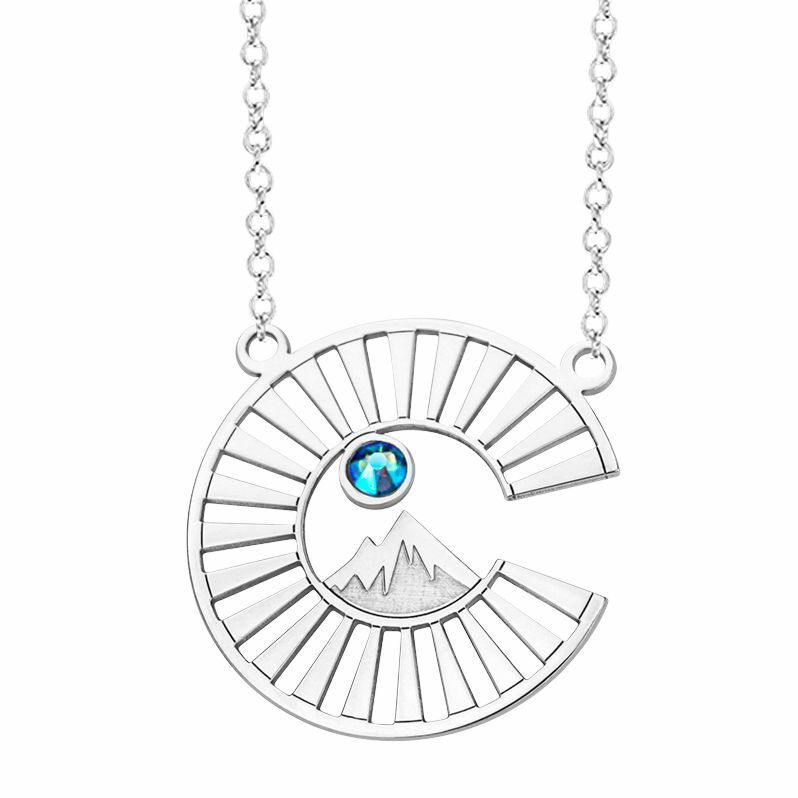 Dazzling sun rays are precision cut around the piece offering an open design with negative spaces that allows lights and shadows to interact and give depth to the pendant. 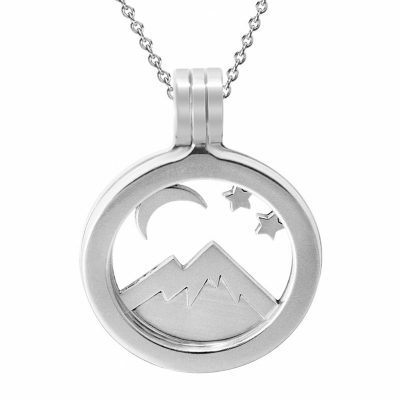 Mountains are deep engraved and accentuated with a sky blue Swarovski crystal t to represent the night sky of this beautiful state.